Making homemade bread is not nearly as difficult as you may think. In fact, with Sassafras’ Superstone bakers, you can cook breads, pies, pizzas, and meats that taste like they were made in a brick oven. Founders Nancy and Steven Schwab’s love affair with brick oven baking started with the Etruscans. After learning about that civilization’s ceramic cookware, the Schwabs developed Superstone—unglazed ceramic that mimics a brick oven effect. The surface creates a dry, even heat that circulates around your food. The Sassafras Bread Dome holds heat like a traditional Dutch oven, and the sloped walls make it ideal for “no-knead” bread baking, which uses just a handful of ingredients and about five minutes of active prep time. A vent in the dome’s lid releases steam to help yield the perfect loaf—soft and yummy on the inside, surrounded by a crackly crust. Any Sassafras covered baker is good for breads, stews, and more. Since the bottoms of the Superstone bakers are glazed, they won't absorb juices. That makes for roasting juicy chickens and meats. And their pie dish creates flaky crusts as well as crispy deep dish pizzas. You don’t need a brick oven. You just need the ancient culinary wisdom baked into Superstone. 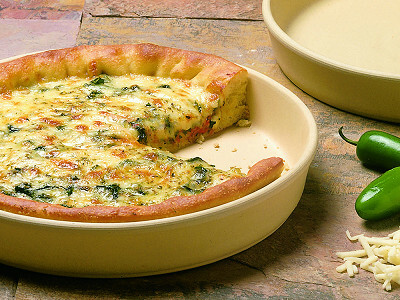 Natural bakeware designed for home bread baking. Also ideal for baking vegetables, meat, and other casserole dishes. Hi Grommet Community - We've discovered every bread baker's secret to making a spectacular loaf of bread! 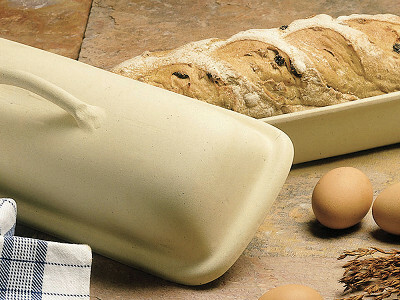 The secret lies in stoneware and its inherent ability to pull moisture from the dough, creating a super crusty loaf with a light, delicious crumb. Our Superstone® Bread Dome mimics a professional baker's brick oven giving you the same ability to create bakery-quality goods! And, honestly, what could be better than the aroma of fresh-baked bread wafting through your home? 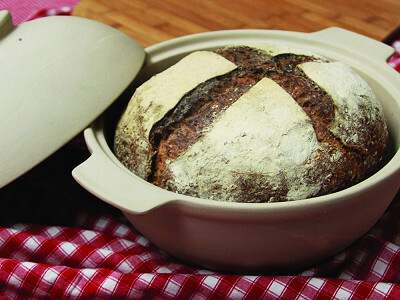 Today we are also asking you to share YOUR recipes that you would use with this bread dome. Keep in mind it's not just limited to bread, but soups and stews too. I'll highlight my favorite recipe below to get everyone started. Excited to see what everyone is sharing today. 1. Combine flour, yeast and salt in a large bowl. Add 1 1/2 cups water and stir until blended; dough will be shaggy. Cover bowl with plastic wrap. Let dough rest about 4 hours at warm room temperature, about 70 degrees. 2. Lightly oil a work surface and place dough on it; fold it over on itself once or twice. Cover loosely with plastic wrap and let rest 30 minutes more. 3. At least a half-hour before dough is ready, heat oven to 450 degrees. Put a 6-to-8-quart heavy covered pot (cast iron, enamel, Pyrex or ceramic) in oven as it heats. When dough is ready, carefully remove pot from oven. Slide your hand under dough and put it into pot, seam side up. Shake pan once or twice if dough is unevenly distributed; it will straighten out as it bakes. 4. Cover with lid and bake 30 minutes, then remove lid and bake another 15 to 30 minutes, until loaf is beautifully browned. Cool on a rack. Dissolve the yeast in the warm water in a large bowl. In a separate bowl, combine the beaten egg, olive oil (leave a bit extra to grease the bowl later), sugar, rosemary and olives and add the yeast/water mixture. Add flour and knead for 5 minutes. Let the dough rest for 15 minutes. Add salt and knead for another 5 minutes. Place dough in bowl greased with olive oil. Cover. Let rise for one hour in a warm spot (90?F). Preheat oven to 450 degrees F with the Bread Dome inside for 30 minutes. Remove the dough. Knead it a bit. Form it into a ball and place on parchment paper. Loosely cover with a towel and place it in a warm spot for 30 minutes while the oven is preheating. Remove the Bread Dome from the oven and lightly oil the inside of the base. Put the dough into the base of The Bread Dome and slash the top of the loaf with crisscross marks using a razor or very sharp knife before baking. Bake for 35 minutes with the lid on and an additional 10 minutes with the lid off until the loaf is a nice golden brown. Carefully, and with a towel, remove the loaf from the base and allow it to cool on a rack for 1 to 2 hours before serving. Amy, the recipe you posted is one of our favorites, too. 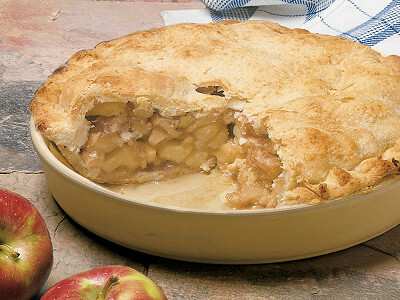 You'll find the crumb to be light and airy and yet, the exterior is super crusty and delicious. It's a great basic "no-knead" recipe for The Bread Dome. AHH i love this product!!!! What size is the bread dome? How many quarts/ounces? @Guest The base of the Bread Dome holds 5 quarts. The inside base measures 8.75" X 3.75." Also it's glazed so you can make a stew, or roast chicken and veggies. The Bread Dome measures 8" high overall. I can't wait to make my favorite cinnamon raisin bread in the bread dome! Lightly flour your hands and work surface and knead 5-8 minutes, giving the dough a quarter-turn on each knead, until dough is elastic and springs back to the touch. Transfer to a bowl coated with non-stick cooking spray. Cover with plastic and allow to rise 1-1½ hours until doubled in size. After dough has risen, place on work surface and roll or pat dough into an 8" x 15" rectangle. If adding raisins, sprinkling them in evenly. Fold dough in half, then in half again to fold raisins into dough. Stretch dough out gently again to 8" x 15". Mix sugar, cinnamon and flour together in a small bowl. Brush top of dough with egg wash and sprinkle evenly with cinnamon and sugar mixture. Starting with the short end, roll the dough into a tight log. Tuck the ends under, and place the loaf, seam-side down in a pan or bowl. Cover with plastic wrap and let dough rise for 45-60 minutes. While dough is rising, preheat oven to 350º with The Bread Dome inside for about 30 minutes. Remove The Bread Dome and lightly spray the bottom with olive oil. Place the dough in the base of The Bread Dome, cover and bake for about 30 minutes then remove the lid for an additional 10-15 minutes.. Remove bread from pan and allow it to cool completely on a wire rack before slicing. What size is this bread dome? How many quarts/ounces? Scroll just above to Nancy's answer. Someone else had the same question. Can you make whole grain (such as 100% whole wheat) bread this way? We also have a great Honey Wheat recipe included with the Bread Dome. I love to bake bread, but can I also use the Bread Dome to make other dishes, like chicken and vegetables? @Sally The Bread Dome makes fantastic chicken! Interestingly, when cooking with stoneware, it helps retain the juices in chicken and meats while, when making breads, it pulls moisture from the dough. You can also use just the base for roasting. I love making a lemon and herb stuffed whole chicken, roasted at a very high heat, uncovered. It's juicy with a super crispy skin. 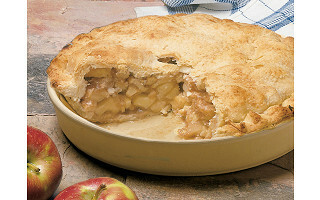 You can also make dishes like macaroni and cheese, baked pastas, or even roast potatoes in it! The stoneware gives the potatoes a very light and fluffy interior, yet the skins are crispy. It's really a versatile piece. @Nancy sounds like you need to have your tried & true recipes that you make in your dome posted on a blog or website or include them with a purchase! :-) I think many of us these days have all sorts of kitchen gadgets and gizmos but we tend to use the same items over and over and extra stuff gets left in cabinets because we are so busy in our lives that we don't have time to think out of the box or create in the kitchen so it would be nice to have tried and true recipes that have been made in this to incorporate :-). This sounds wonderful! I have a son with peanut and tree nut allergies and am moving my family off of gluten so our choices for whole grain, healthier bread options are limited due to his allergies. Have you tried this with gluten free breads? If so, what were the results and do you have any recipes? Also, is the material & glaze free of things like lead, cadmium, etc? @Nancy Hi Christina, yes, you may use it with gluten-free breads. We don't include a recipe for gluten-free bread with our Bread Dome, but many can be found on line. A friend of mine loves the recipe that can be found at: http://breadchick.blogspot.com/2010/03/bread-baking-babes-gluten-we-dont-knead.html. I have also heard that by adding a little club soda instead of just water, you will have a lighter, airier gluten-free bread than without. @Christina Regarding product safety, all of our products are tested to the highest standards particularly with regard to the FDA. The glaze and the stoneware are perfectly safe without harmful heavy metals like lead and cadmium. Have you had any feedback about using Sassafras for bread at high altitude? We live at 9000 feet, and need to adjust recipes. If you have any input re: adjusting no-knead recipes for altitude, we'd greatly appreciate that, too! @Claire As you know, baking at a high altitude is tricky and requires some trial and error with recipes and cooking times.. High altitudes are drier so you might need to decrease the amount of flour -- up to 1/4 less or add a bit more water if using wheat or rye flour. You want a very wet, sticky and "shaggy" dough. When baking, just remember that bread dough rises twice as fast in high altitudes so reduce the amount of rising time and, instead, punch down your dough after it has doubled in size. For the second rising, allow it to rise in half the time as the first cycle. Also, the standard rule is to subtract 1 degree of baking temperature for every 500 feet above sea level. 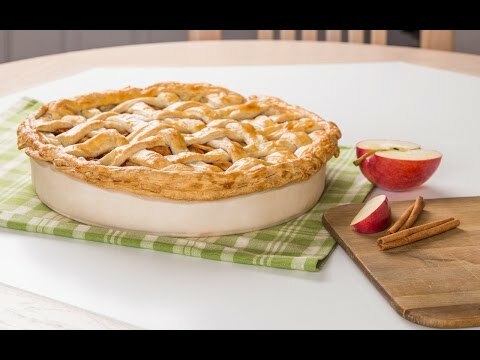 If you make the standard adjustments for high altitudes that you normally make, then baking with the stoneware should not appreciably change it. We ship this product across the country and have not had any negative feedback regarding using this product at high altitudes. @Nancy Another favorite recipe is for a Home-style Honey Wheat Bread. It's mildly sweet and delicious. This recipe is not a "no-knead" bread recipe, but it's probably worth the extra effort! @Nancy And here is the recipe! Dissolve the yeast with the milk and honey in a large mixing bowl; let it proof until foamy. Add 1 cup all purpose flour, all of the whole wheat flour, salt and cooking oil; beat by hand until smooth. Stir in remaining flour, 1 cup at a time, to make a firm dough. Turn out onto a lightly floured board; cover and let rest 10 minutes. Knead until smooth and elastic, adding flour as needed to prevent sticking, about 10 minutes. Place dough in a greased bowl and turn to coat the surface. Cover and let rise in a warm, draft-free place until doubled in bulk (about 1-1/2 to 2 hours). Preheat oven to 400º F. and put the Superstone Baker into the oven to heat for 30 – 60 minutes. Punch down the dough. Shape dough into a round loaf and place it in the center of a mixing bowl, cover with a towel and let the dough rise in a warm, draft-free place until doubled in bulk (about 30-60 minutes). Remove the Superstone Baker from the oven and spray the inside bottom of the base with olive oil and dust with flour. Place the risen dough in the center of the base of the Superstone Baker, brush with melted butter or egg glaze and cover with lid. Reduce oven temperature to 375º F. and bake for 40 to 45 minutes, until loaf sounds hollow when tapped (remove cover for last 10 minutes of baking). Remove the finished loaf carefully holding a towel and place bread on a cooling rack for one to two hours before serving. @Damien What's your favorite bread recipe? I'd also love it if you could share that spice pulled pork recipe. I bet you could also make that in the Bread Dome at a low heat. @Nancy One more thing about the Bread Dome. It's fired at a temperature of 2200 degrees F so it can handle a very, very high heat! No need to worry about a recipe that calls for a 500 degree temp. The Bread Dome can handle it! Making homemade bread is not nearly as difficult as you may think. In fact, with Sassafras’ Superstone bakers, you can cook breads, pies, pizzas, and meats that taste like they were made in a brick oven. 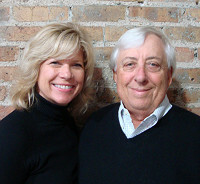 Founders Nancy and Steven Schwab’s love affair with brick oven baking started with the Etruscans. After learning about that civilization’s ceramic cookware, the Schwabs developed Superstone—unglazed ceramic that mimics a brick oven effect. The surface creates a dry, even heat that circulates around your food. The Sassafras Bread Dome holds heat like a traditional Dutch oven, and the sloped walls make it ideal for “no-knead” bread baking, which uses just a handful of ingredients and about five minutes of active prep time. A vent in the dome’s lid releases steam to help yield the perfect loaf—soft and yummy on the inside, surrounded by a crackly crust. Any Sassafras covered baker is good for breads, stews, and more. Since the bottoms of the Superstone bakers are glazed, they won't absorb juices. That makes for roasting juicy chickens and meats. And their pie dish creates flaky crusts as well as crispy deep dish pizzas.